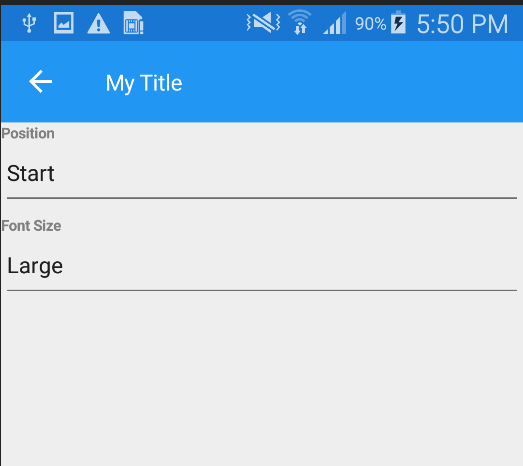 Hi Guys, in this blog we will learn how to Customize Navigation Bar in Xamarin forms.There are some scenarios where we need a customized navigation bar like by default, you can not perform search inside your navigation bar in Xamarin Forms, that takes time to figure out how to do it. However, there’s a workaround for doing that. Things will be pretty much easy, To implement a Custom Navigation Bar on platform specifically by using custom renderers to achieve a additional customized Navigation Bar so, we just need to extend NavigationPage class and add some Attached properties also make sure about using Custom Renderers. 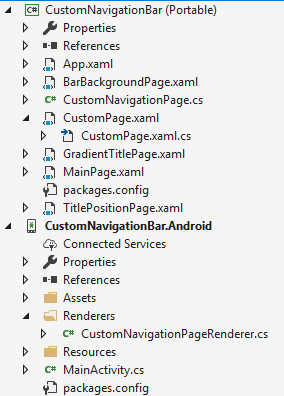 First of all we need to create custom Navigation class that extends from the NavigationPage class and add some attached property to achieved extra customization. 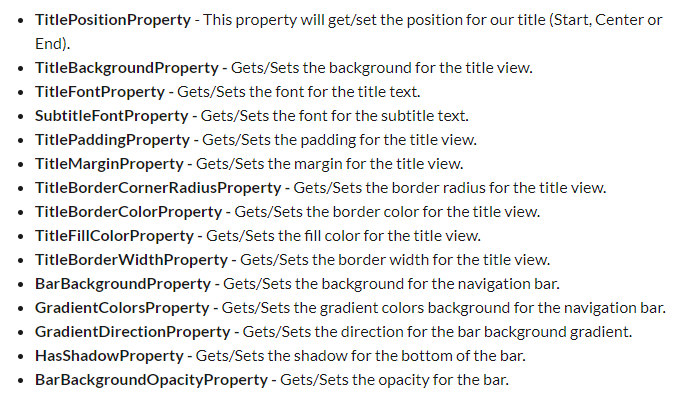 To apply the attached property platform specifically so, we need to create custom renderer class natively. Created custom renderer class extends the custom Navigation class which is created shared. After extending custom navigation class by custom renderer, we are going to overwrite the method OnViewAdded to detect when Toolbar is added. CustomNavigationPage:- To perform Customization in Navigation Bar so, we need to create CustomNavigation class which extends NavigationPage class and define Get/Set property. CustomNavigationBarRenderer:- To perform customization natively so we need to create Renderer class platform specifically and overwrite the method OnViewAdded to detect when Toolbar is added. Note: Please remember to add [assembly:ExportRenderer(typeof(CustomNavigation), typeof(CustomNavigationRenderer))] to your custom renderer. To customization of NavigationBar, we are taking some properties and performing in our example. 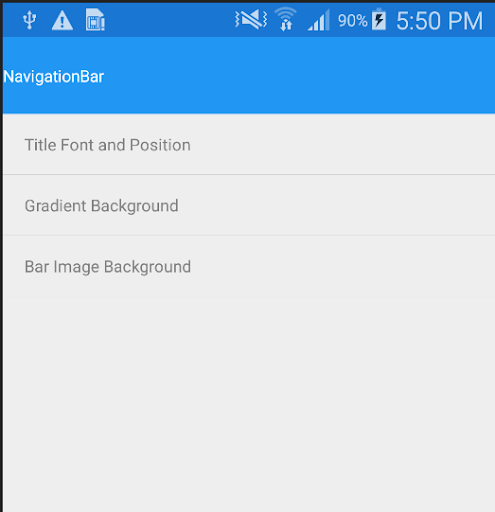 Title Font and Position:- To set NavigationBar Title font and position we need to set TitleFontProperty and TitlePositionProperty. 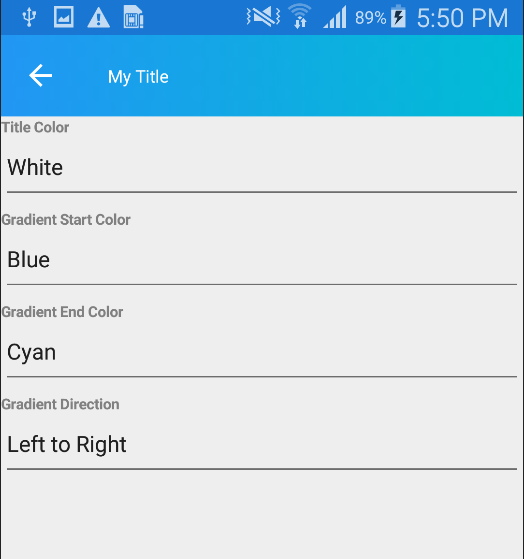 Gradient Background:- If we want to set Title color, NavigationBar start and end color with direction so, we just have to call GradientColorsProperty and GradientDirectionProperty. 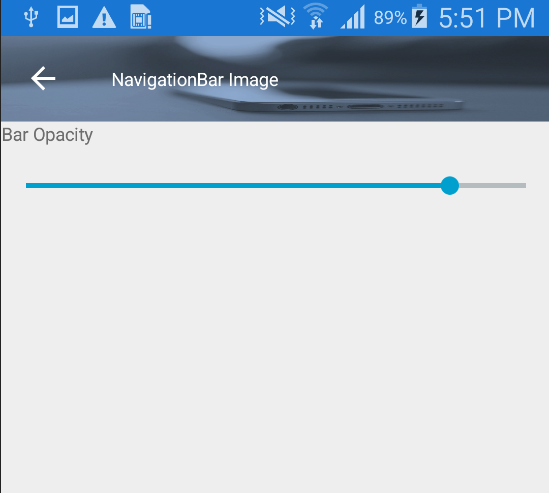 Bar Image Background:- If we set NavigationBar Background image with Opacity so, we need to use BarBackgroundProperty and BarBackgroundOpacityProperty. Here we can simply customize Navigation Bar in a different ways by using some customization attached properties. Harshit Raghuvanshi is a Application Developer. He has an experience in various technologies like Java, Android, Xamarin, Alexa programming, Amazon Web Services(AWS), Microsoft Azure.